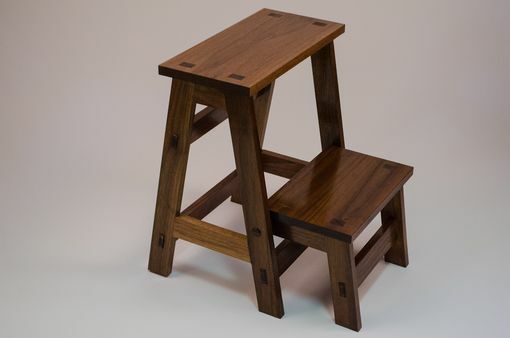 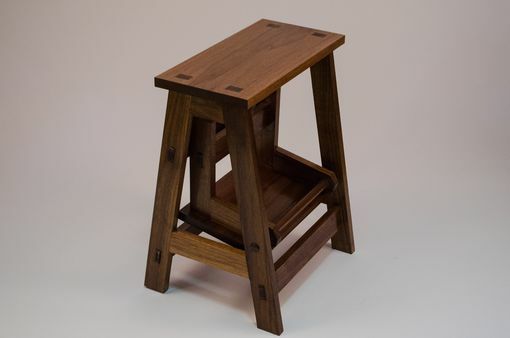 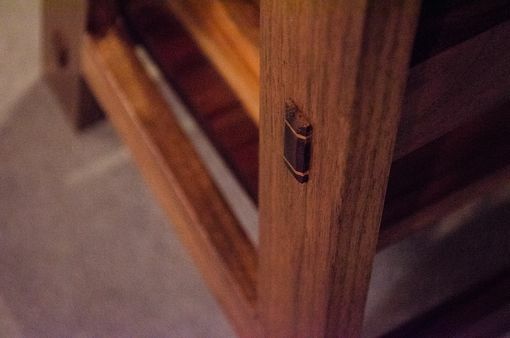 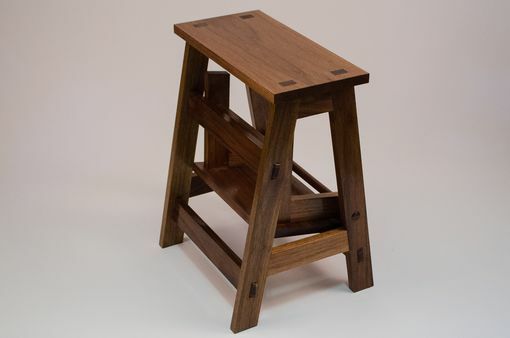 This walnut step stool features exposed pinned mortise and tenon joints. 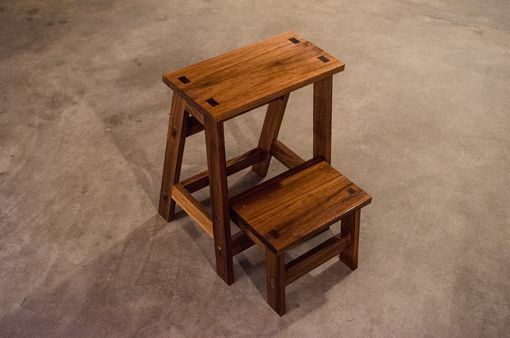 It makes an excellent stool. 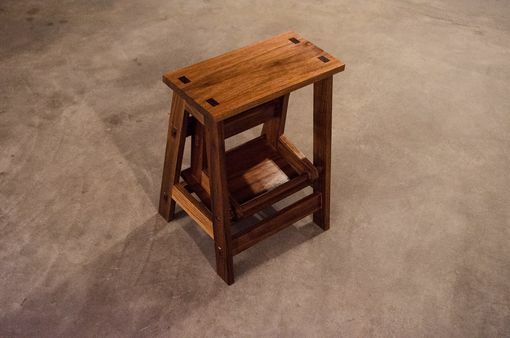 Dimensions(L,W,H, step height): 16" X 13" X 20" X 9.5"